In the competitive world of small and mid-size companies, having the best financial expertise and a trusted business strategist can make the difference between success and failure. Traditionally the onus of Chief Financial Officer (CFO) has fallen on the shoulders of CEOs who are busy managing their companies. With budgets tightening and needs increasing, hiring a full-time CFO may be out of reach. 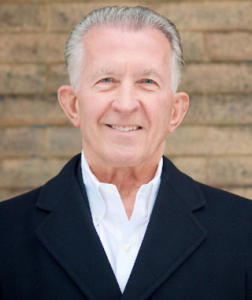 CFO-Pro founder John Lafferty has become recognized for decades as the go to virtual CFO for entrepreneurs, start-up ventures and both emerging and mature businesses in a variety of industries. Backed by an MBA and an early career in progressive financial roles with leading global consulting and venture capital firms, the Fortune 500 and rising entrepreneurial ventures, John has built CFO-Pro into a rich resource for small and mid-sized companies. Today he advises clients in strategy development, systems and process management and oversight, growth initiatives, infrastructure and operations improvement, margin and revenue enhancement, and creation of successful exit strategies. Coupled with his in-depth understanding of the interrelation of operations, marketing and finance, John brings unique value to client companies.